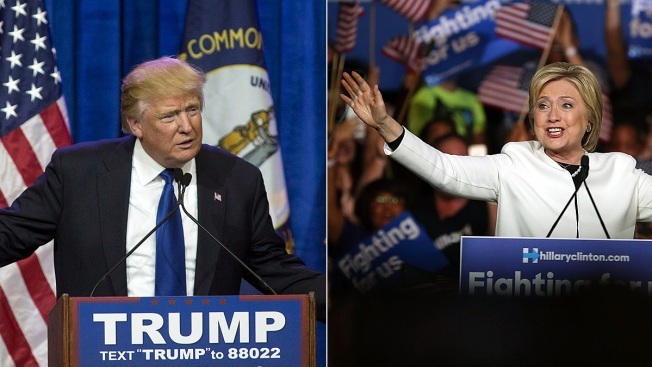 Donald Trump and Hillary Clinton dominated on Super Tuesday but the day had a few surprises. Sens. Ted Cruz, the Republican from Texas, and Bernie Sanders, Vermont's independent running in the primary as a Democrat, won not only their home states but also Oklahoma, while New Jersey Gov. Chris Christie showed up again on the campaign trail. Here's a look at a few notable moments as 12 states went to the polls. Christie is not only out of the presidential race but if six Gannett newspapers in his state have their way, he’ll be out of a job too. The newspapers issued a joint editorial Tuesday calling on Christie to resign following his failed presidential campaign and his endorsement of Trump. If he doesn’t, New Jersey should start a recall effort, the papers wrote. "We’re fed up with Gov. Chris Christie’s arrogance," the editorial said. "We’re fed up with his opportunism. We’re fed up with his hypocrisy." Christie spent part of 261 days out of state last year and later traveled to endorse Trump, the editorial noted. That was true again on Tuesday, when Christie was in Florida to introduce Trump before a speech. “America wants to be strong and successful again but they know that to do that they need to have a strong, bold, tough, decisive leader back in the Oval Office,” Christie said. 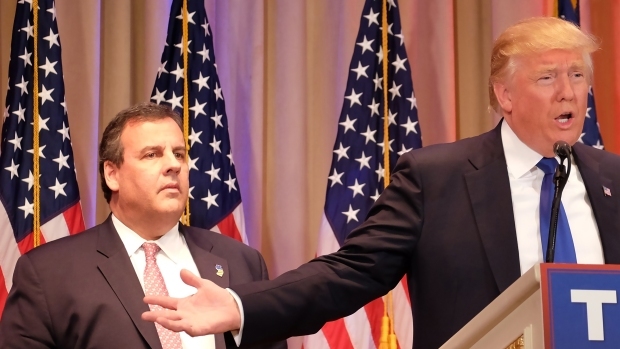 Christie, who stood behind Trump as the businessman spoke, has denied that he is jockeying for a job in a Trump administration. He was notably subdued when joining Trump, which prompted a lot of chatter on Twitter. One of the hashtags that gained prominence was #FreeChrisChristie. 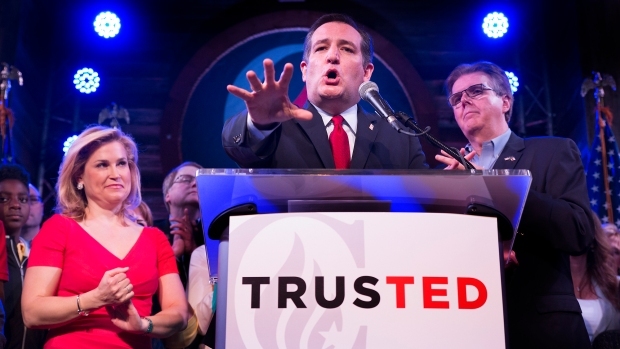 Cruz wasted no time in urging his Republican rivals to back him so that he could take on Trump head-to-head. Ted Cruz urged Republican voters to unite behind him as a candidate to prevent Donald Trump from winning the GOP nomination for president. He said he was the only Republican who had beaten Trump three times — in Iowa, Texas and Oklahoma. “After tonight we have seen that our campaign is the only campaign that has beaten, that can beat and that will beat Donald Trump,” he said. 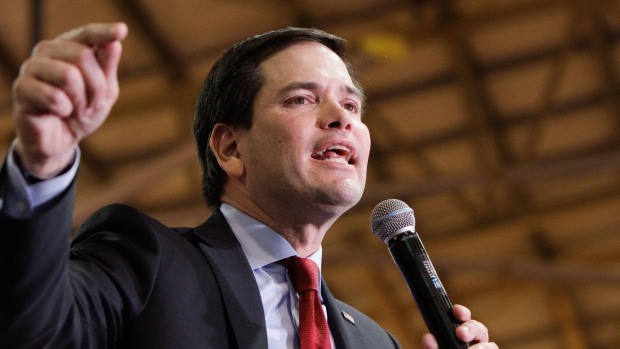 Late in the night, Sen. Marco Rubio got his first win, in Minnesota. Marco Rubio addressed supporters in Miami, Florida, attacking Donald Trump, the Republican frontrunner, saying "The party of Lincoln and Reagan will never be held by a con artist." 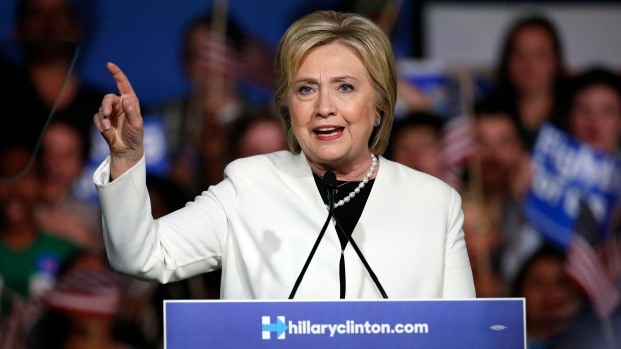 Even before Super Tuesday was over, Clinton was looking ahead not only to the next round of primaries but to the general election and her expected rival, Trump. “USA, USA,” the crowd chanted. Hillary Clinton addresses supporters in Miami, Florida, calling for restoration of respect and “more love and kindness,” directly taking on Donald Trump in her speech. In his speech Tuesday, Trump insisted the country would build a wall on the U.S.-Mexico border, a mainstay of his campaign. And, he said, "Mexico is going to pay for the wall." Trump has gone his own way in the contest for the Republican presidential nomination and Super Tuesday was no exception. 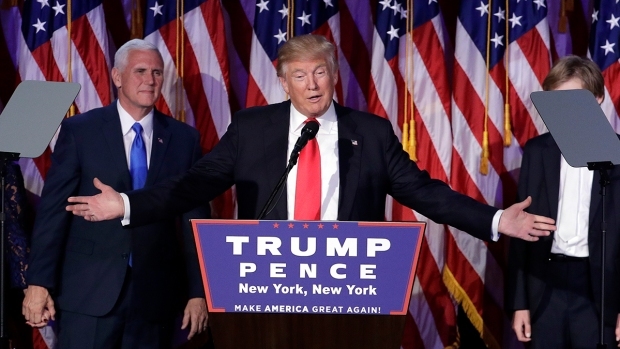 Trump chose to give a news conference instead of the traditional victory party. Republican presidential candidate Donald Trump was sweeping through the South on Super Tuesday, with the Republican front-runner claiming victory in the party's primaries in Georgia, Alabama, Tennessee, Virginia and Massachusetts. The Associated Press noted that reporters had assembled hours before in what it described as a Versailles-worthy room at his sprawling Mar-a-Lago estate in West Palm Beach, adorned with gold-leaf detailing, columns, and three enormous crystal chandeliers. 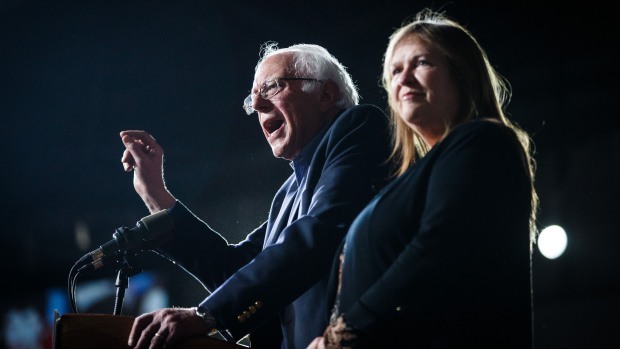 Sanders came out early in the evening to give a victory speech in his home state of Vermont, where polls were among the first to close on Super Tuesday. Bernie Sanders thanked supporters in Vermont on Tuesday, March 1, 2016. By speaking so early, Sanders was able to savor his win despite losses that came later in the evening. He predicted he would win many hundreds of delegates as they were divided proportionately among the candidates. He did win hundreds of delegates but Clinton won more.